Couples that don’t match up! Real love doesn’t care about beauty or style but there are couples who actually have very little in common, at least apparently. Not that I’m against it, not at all, but I was wanting to start the week writing about something different today, so I picked some famous couples that at first sight doesn’t make the perfect match. 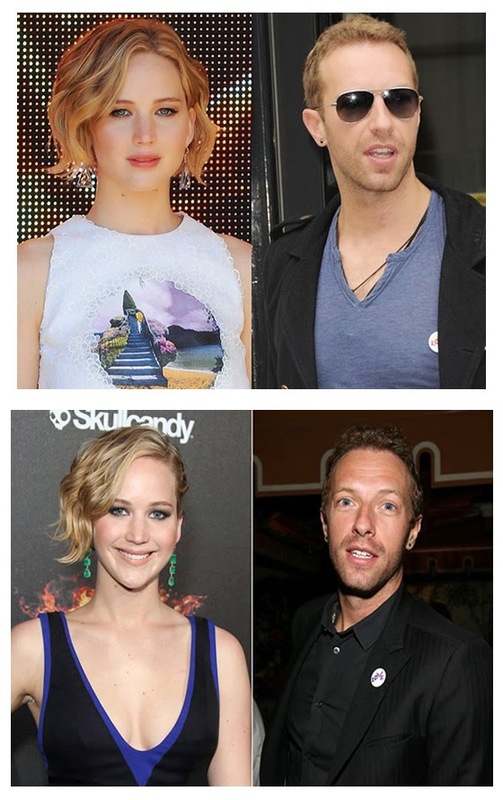 Jenniffer Lawrence and Chris Martin: I really like them both, specially him (of course) but it’s weird to see this couple together. We know that Chris Martin likes pretty women but Jenniffer seems too young for Chris, and when I talk about it I mean maturity wise. They just don’t match for me! Sean Penn and Charlize Theron: I must say Charlize is probably, in my opinion, one of the most beautiful women in the world. Sean Penn is definitely not a man I would see her with. She looks much more sophisticated and I don’t know why but he always looks angry and grouchy. Salma Hayek & Francois Henri-Pinault: We only need to look at them together right? A latina bombshell with a French business man? Sorry don’t match! 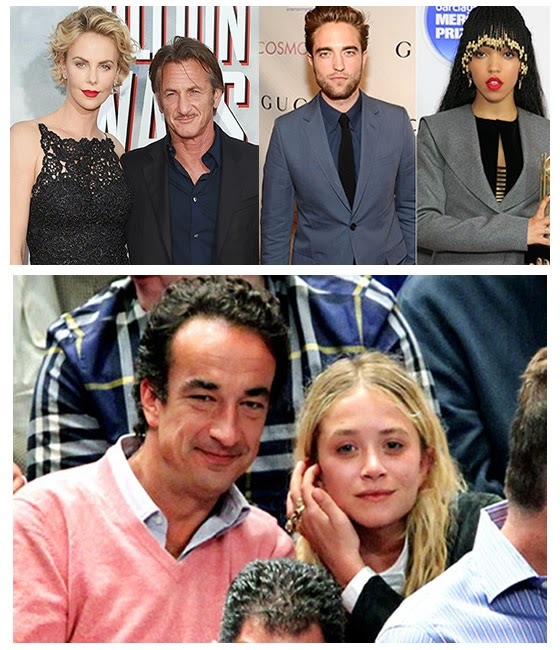 Mary-Kate Olsen & Olivier Sarkozy: Besides the age difference these two are so so different. She will always have that “it girl” look, while he looks like her high school friend dad. It’s just weird. Robert Pattison and FKA Twigs: She can be a lovely girl but she is weird! I mean he has that British pretty boy look I would never imagine him to fancy a girl like her. But he looks happy though! Sienna Miller and Tom Sturridge: She is a style icon, one of my favorite actually, and he looks like a bum sometimes. However we all know that British it girls love these guys: hat, ripped clothes, and messy hair. I think it’s more like a rock n´roll attraction even though he is an actor. Cameron Diaz and Benji Madden: I always had the feeling Cameron Diaz´s boyfriends never match with her. I’m thinking about Justin Timberland, Jared Leto or Matt Dillon… however Benji Madden is the most unlikely so far but guess he is the one she married to! Sempre ouvi dizer que o amor é cego! QUE GUAPA LA MUJER DE SEAN PENN ! Mary Kate and Oliver look so odd together I think too!